Walk to the beach! Prime English Bay location on quiet street steps to the beach, safeway, London Drugs, shops & cafes. 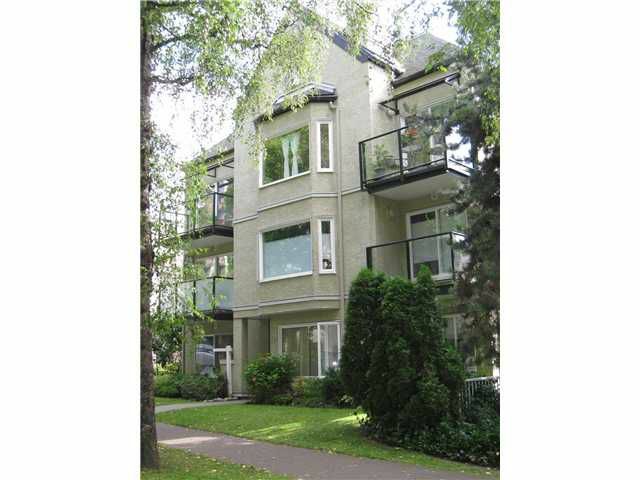 TOP FLOOR 2 bedrm, 2 full bathrm, southwest CORNER w/minimal common wall & partial water view balcony. Stunning home offers bright living rm w/sunscreen roller blinds, sleek contemporary gas f/p & partial view of English Bay. Spacious kit has skylight, granite counters, undermount sink & stainless steel appls. Bathrms w/granite counters, imported fixtures by Zucchetti, recessed halogen lights. Great design & layouts- lots of fresh air w/bedrms separate from living area. Insuite laundry & storage locker. Completely upgraded, floors to lights. Full rainscreened bldg. 2 pets ok. This is special. Open House Sun Aug 7th, 2-4pm.